Lipomas are said to be benign fatty tumors which mostly appear in certain areas like lower and upper extremities. The most common form of a lipoma is a capsulated, hard and rarely painful lump just under your skin. There are also few diseases which have been categorized. These include the Familial Multiple Lipomatosis, Madelung’s disease and Dercum’s disease. They all have their own characteristics but are related. Doctors say that lipoma is not a dangerous diagnosis. It’s some kind of benign tumors that can grow in size, but does not spread all through the body and does not form metastases. It is more aesthetic than a health problem. On the other hand, we usually notice lipomas when they are under the skin. While the exact case of lipomas is not confirmed, it is believed to be an inherited condition, running in families. One more of the potential lipoma causes could be a genetic hormone, as it can be seen in members of the same family. Certain heredity medical conditions, for example those listed below, can cause more than one lipoma to form. Familial multiple lipomatosis, leading to multiple lipomas. Because the lipomas are rarely dangerous, you may be able to use one of the natural lipoma treatments of home remedies to get rid of the lumps. However, there are a few Natural Remedies for Lipoma. These natural remedies involve the use of some herbs and spices. 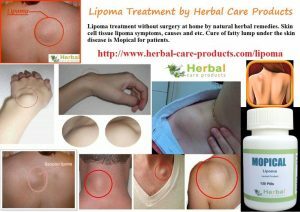 Try one of the following Herbal Treatment for Lipoma and learn how to remove a lipoma yourself. Lemon Juice is famous for reducing toxins and stimulating the liver, which may help the body to digest fats and therefore help to lessen the number and size of the fatty lumps. This aids the liver to perform better and get rid of toxins. Lemon juice mixed with warm water is advocated for the best lipoma treatment outcomes. As most people will know, water is essential for proper bodily functions, and helps the liver to flush out and eliminate toxins. One and a half litters is the recommended daily intake. Foods rich in fibre should be eaten so that constipation can be avoided. Excessive accumulation of waste will cause the body to try to find alternative exit routes for toxin disposal, which can lead to the development of lipoma lumps. Real green tea is a great fat burner. Increasing body metabolism and burning off fat is an ideal way of avoiding adding to lipoma problems. Herbs for Lipoma turmeric is usually believed by many experts that by combining turmeric powder with olive oil and applying the blend to the fatty deposits, the lipomas can be softened and reduced. Flaxseed Oil is high in omega-3, so by taking this oil, it may be probable to dissolve lipomas, or at the very least, stunt the development of fatty cells. Apply iodine directly on a lipoma with the use of a cotton swab. Make sure the red liquid is completely dry before moving affected area. Repeat two times each day. 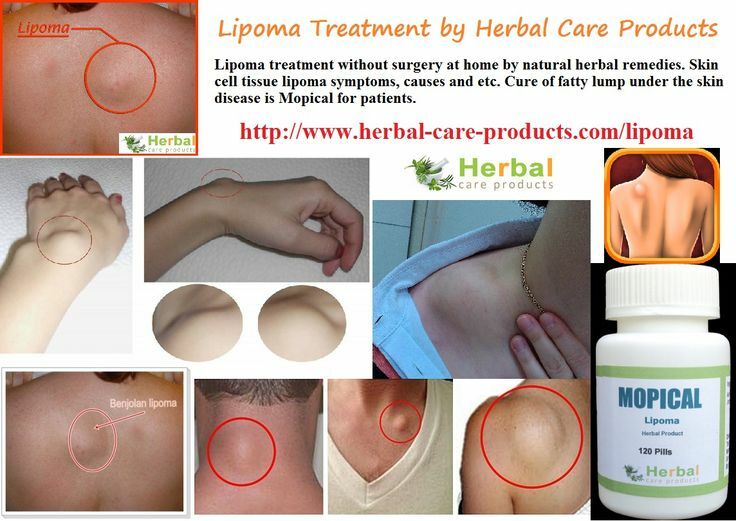 There are few herbal ways for Lipoma Herbal Treatment. 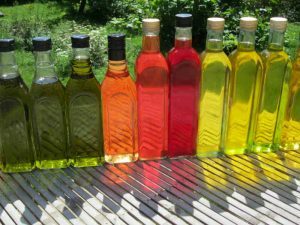 Here below we will talk about some of the most common and effective ways to treat lipomas naturally by using herbs. Cooled green tea is high in antioxidants to help regulate blood sugar and fatty tissue, so it works great as a base. Flaxseed oil has levels of omega-3 and omega-6 fatty acids, which help to lessen inflammation. Make an ointment using these three ingredients to help decrease the size and appearance of lipomas. 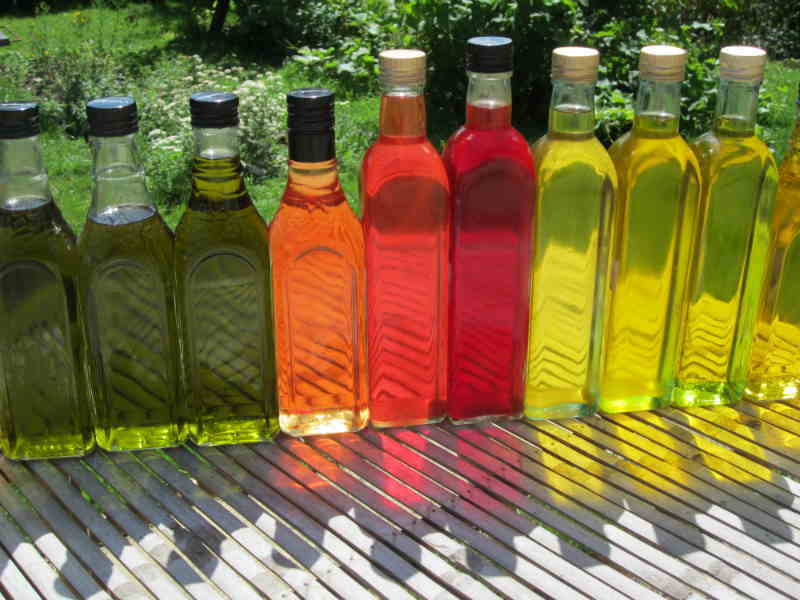 Neem oil is an astringent that helps to protect your skin. It’s commonly used in ancient Indian medicine to treat lipomas. As lipoma lumps consist of fat, one obvious factor in reduce growths is to reduce the intake of fat. Eating a healthy, well-balanced diet is advantageous anyway, but for lipoma sufferers in particular, it can be very helpful in reducing the size and number of these fatty growths. Eating leaner meats and cutting out fatty dairy items, as well as eating green vegetables and fruit is a good point to start. Cut out processed foods, white sugar and white flour as well, and the difference will be noticeable. Perhaps a body detox and immune system boosting supplements would not go amiss.